Athens Land Trust conserves, empowers, & sustains communities through responsible and visionary land use. 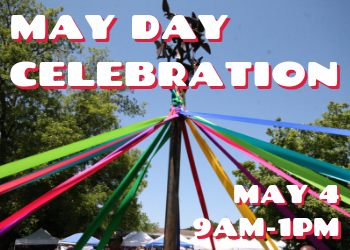 Our annual May Day Celebration is right around the corner! This fun community event marks the opening day of the 2019 season at the West Broad Farmers Market. Join us for kids activities, fresh produce and artisan goods from local vendors, special guest speakers, live music and performances, cooking demonstrations, and the maypole dedication! It’s sure to be a fun day all around, so don’t miss out! 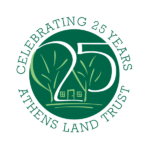 Athens Land Trust is proud to mark 25 years of building stronger, healthier, more equitable and sustainable communities, and grateful for the relationships we have built with neighborhood residents, families, local businesses, and institutions that make this long-term work possible. 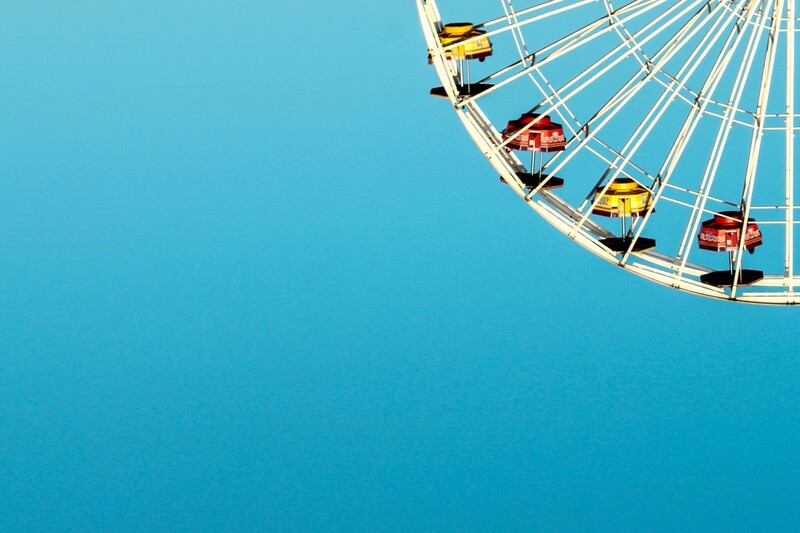 This shared commitment to our community has inspired the Community Carnival at West Broad, and we invite you to join us in celebration on June 1st, 2019. There will be game booths, food trucks and vendors, carnival rides, face painting, and more! Stay tuned for details on this wonderful community celebration. 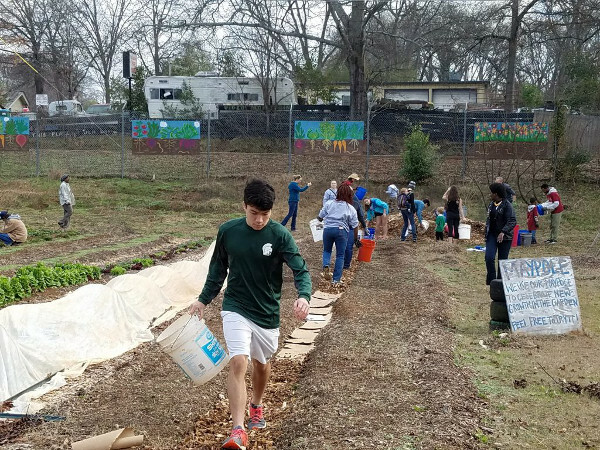 With land that is community-owned and driven by community interests, our goal is to create healthy communities and forge partnerships to effect positive change across Athens, Georgia. 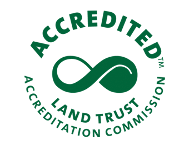 Athens Land Trust is a Community Land Trust (CLT). 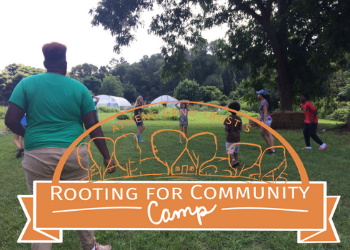 “CLTs are nonprofit organizations—governed by a board of CLT residents, community residents and public representatives—that provide lasting community assets and permanently affordable housing opportunities for families and communities. 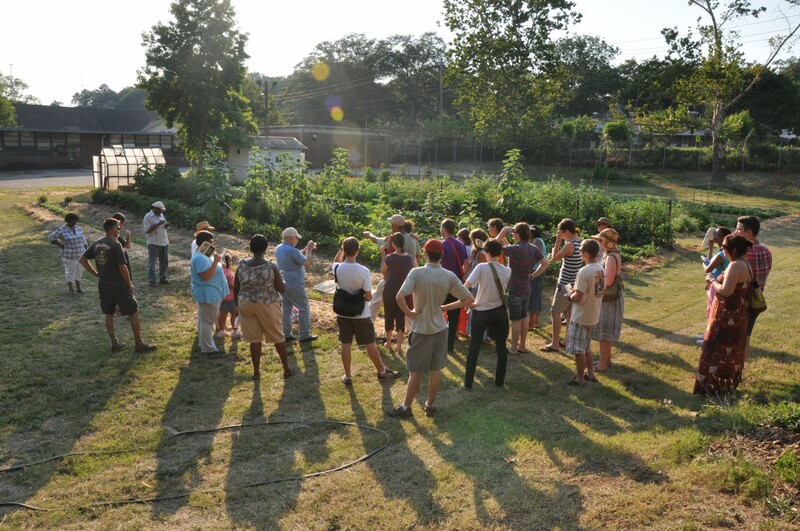 CLTs develop rural and urban agriculture projects, commercial spaces to serve local communities, affordable rental and cooperative housing projects, and conserve land or urban green spaces. 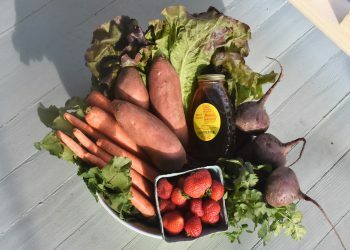 Our Spring Farm Share sign-up open now! Purchase a Farm Share today to support local farmers and vendors, while getting fresh fruits, veggies, and other delicious foods every week! 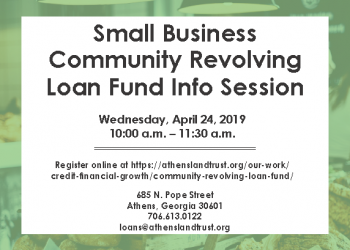 Please join us for an info session on the Community Revolving Loan Fund, a new initiative of our department of Credit and Financial Growth. 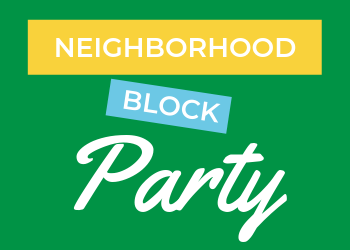 Join us Saturday, April 27 from 10:00 am to 2:00 pm for the annual Neighborhood Block Party at the West Broad Farmers Market & Garden! 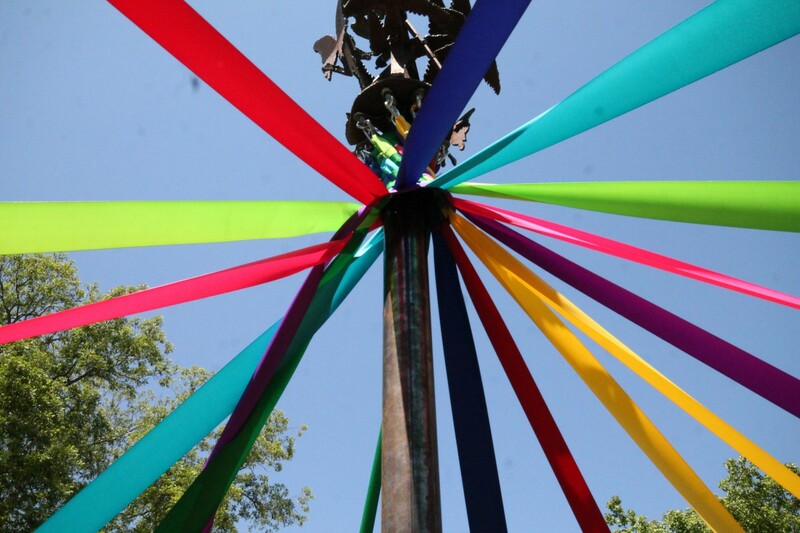 Join us at the May Day Celebration for kids activities, fresh produce and artisan goods, guest speakers, live music and performances, cooking demonstrations, and the annual maypole dedication! We are so excited to announce the 25th Anniversary Community Carnival at the West Broad Garden! Save the date: June 1st, 2019. Stay tuned for details! Registration for RCC, a two week long Summer camp for youth ages 8-12, is now open! Click here to learn more about this wonderful opportunity. 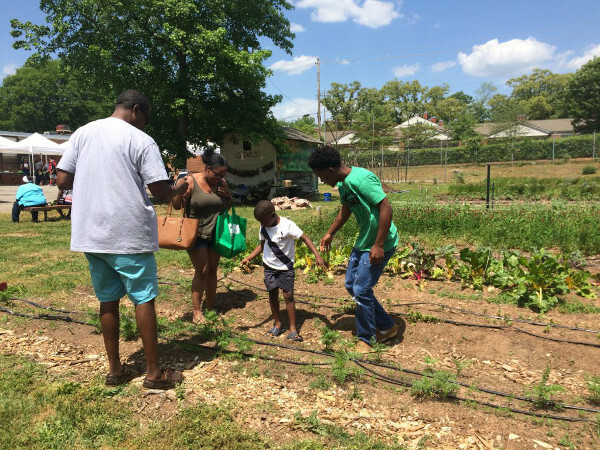 Your donation supports the causes of food justice, land conservation, affordable housing, and economic opportunity for all. With over two decades of work with the Athens community, together we’ve made significant progress toward improving access, health, and wealth. 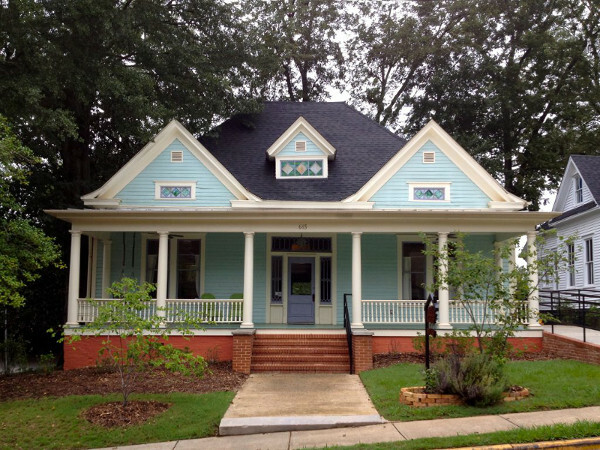 We’re right off Prince Ave, a few blocks from downtown, in a light blue house up on Pope Street. We welcome your visit!